The Israeli Defense Forces unleashed their newest unmanned aerial vehicle on Tuesday. The Elbit Systems’ Hermes 900 Kochav, or Star, drone reached full operational capability this week, Jerusalem Online reports. 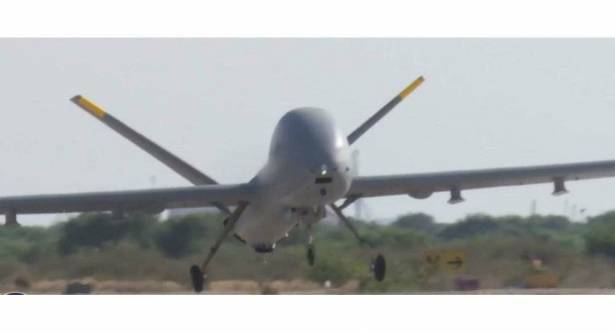 The drone was introduced into the IDF fleet’s “operational lineup” in November 2015, according to Israel Hayom (Israel Today), but saw its first action in Operation Protective Edge in Gaza in the year before. It has been undergoing further tests in the years since. Military planners wanted a UAV that could sustain flight operations longer and carry more payloads. The medium-sized Kochav measures 30 feet in length and features a 52-foot wingspan. The aircraft can fly for 30 hours, haul 300 kilograms of weapons, and reach speeds up to 137 miles per hour, according to published reports. Compared with the previous generation Kochav 450, the aircraft’s new abilities comprise “a quantum leap in technological capabilities,” an IDF official told YnetNews. The Star will primarily fly on reconnaissance, surveillance and communications missions. In addition to the IAF, five other countries will operate the Star: Mexico, Chile, Brazil, Colombia and Switzerland. The Swiss Air Force plans to keep the drone unarmed. In July, China’s drone maker declared it would begin mass production of the CH-5 Rainbow. China’s Aerospace Science and Technology Corporation believes the Rainbow will compete with General Atomic’s MQ-9 Reaper from a capabilities standpoint as well as in terms of supply: for now, at least, it is illegal for General Atomics to sell the Reaper to clients not named by the US government. Earlier in August, the White House announced it was initiating a review of drone export policies that may result in a relaxation of regulations preventing the sale of US-made Reapers.